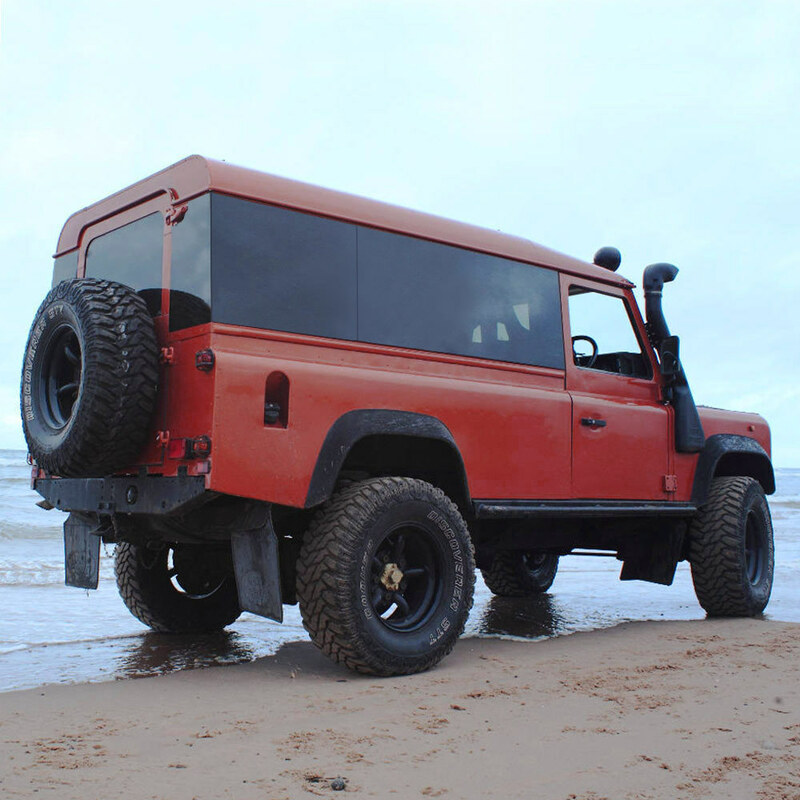 Panoramic Tinted Windows Full Length for Land Rover Defender 110 2-Door Hardtop - Fixed or Side Sliding. Each side comprises two pieces of glass (Main side piece & extension glass) whether you choose the fixed or side sliding versions. The slide opening version has an internal aluminium window frame (painted black) which houses lockable sliding windows, the other piece of glass is not a window and just a continuation of the dark tinted side window; together the two pieces cover the entire length of a 110 hardtop rear. 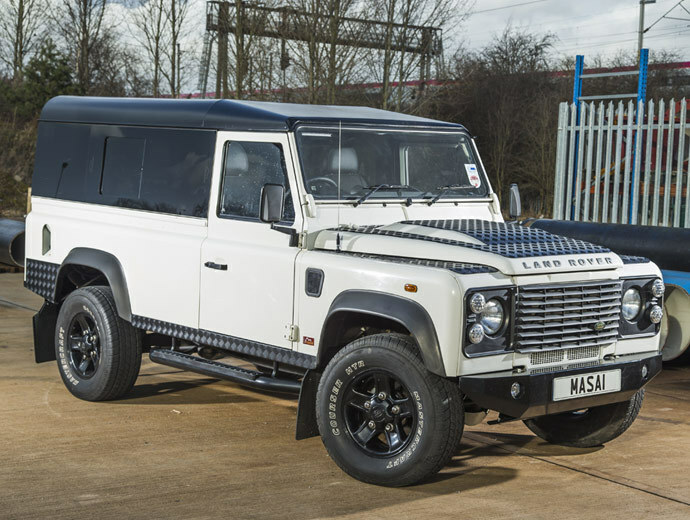 Optional extras - Bonded Tinted Quarter light windows and tinted Rear Door Glass. Slide-opening version has a high-quality high-security window locking system. Price is for both sides of glass - offside and nearside. 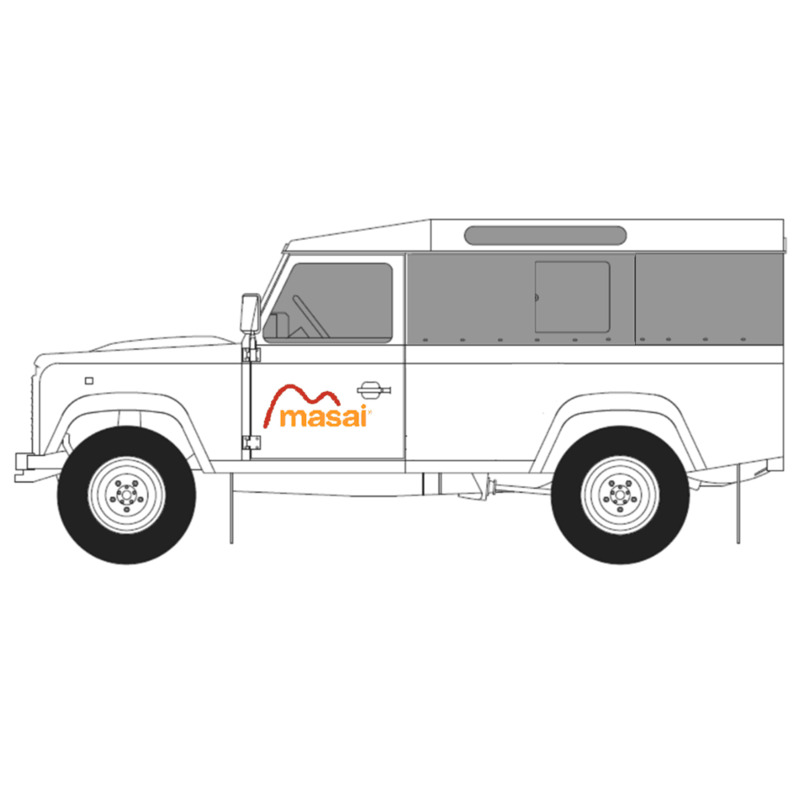 Complies with European Commission Directive 2001/92/EC, Regulation No 43 of the UN/ECE. Kit includes both sides of glass (4 pieces), primer, a special silicone adhesive, template and fitting instructions. Fitted in just a few hours DIY. 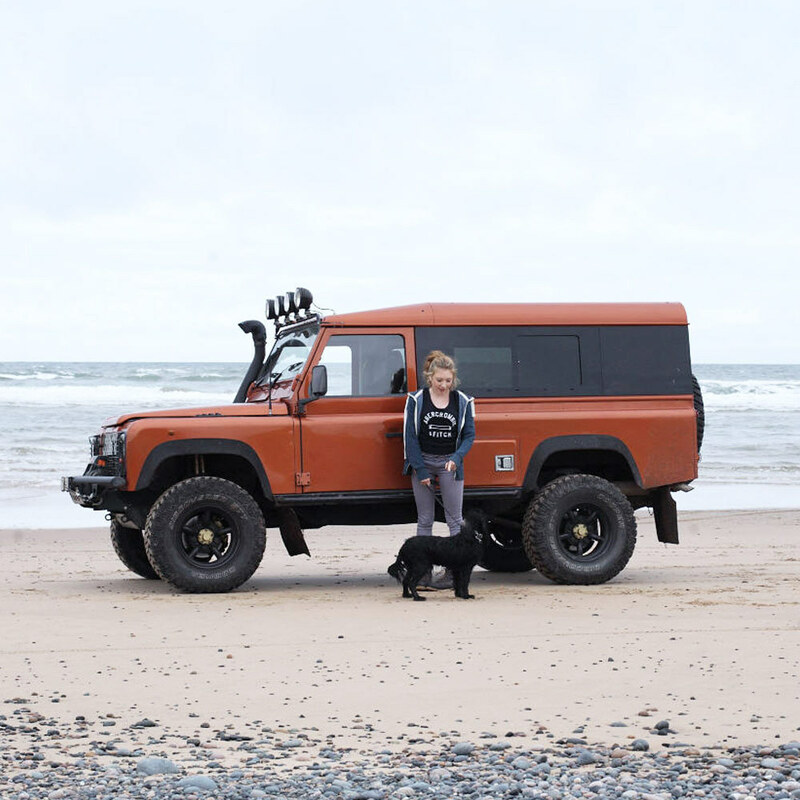 The size of the aperture needed is 1057mm x 427mm - which is the Land Rover standard size for Defender rear side windows. 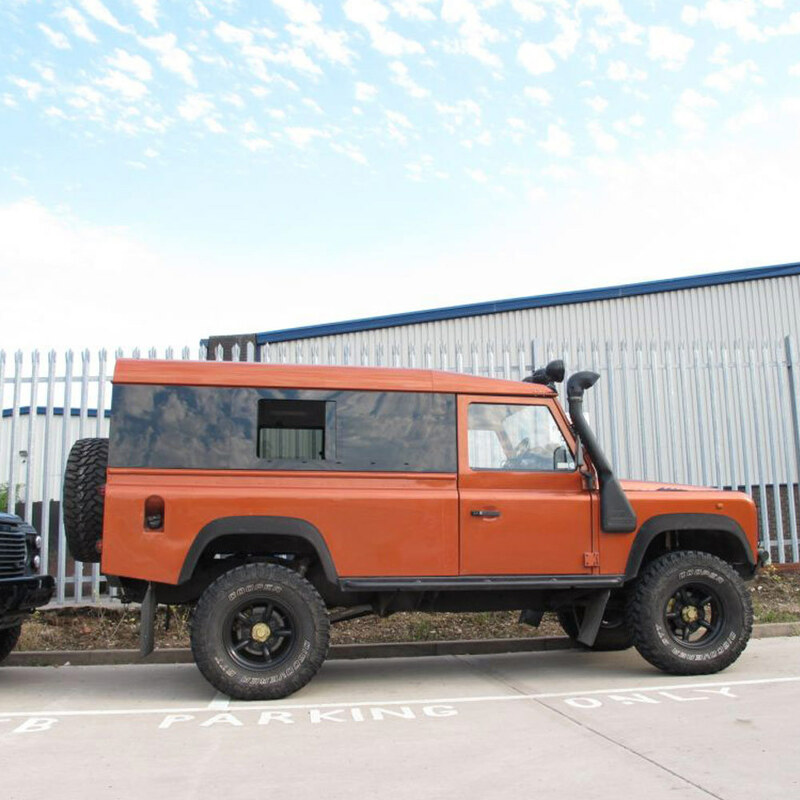 Fits all Land Rover Defender 110 2-Door Hardtops (See photos), if you have another type just call and we can discuss. REAR GLASS NOTE : If you also purchase the Rear Door Glass - carefully remove the existing rear door glass without damaging the rubber - as you will need to re-use the rubber. Carefully remove brake light including brackets from old glass as you will need to glue to new glass. Slide-opening side window OR Fixed side window (no side opening window). 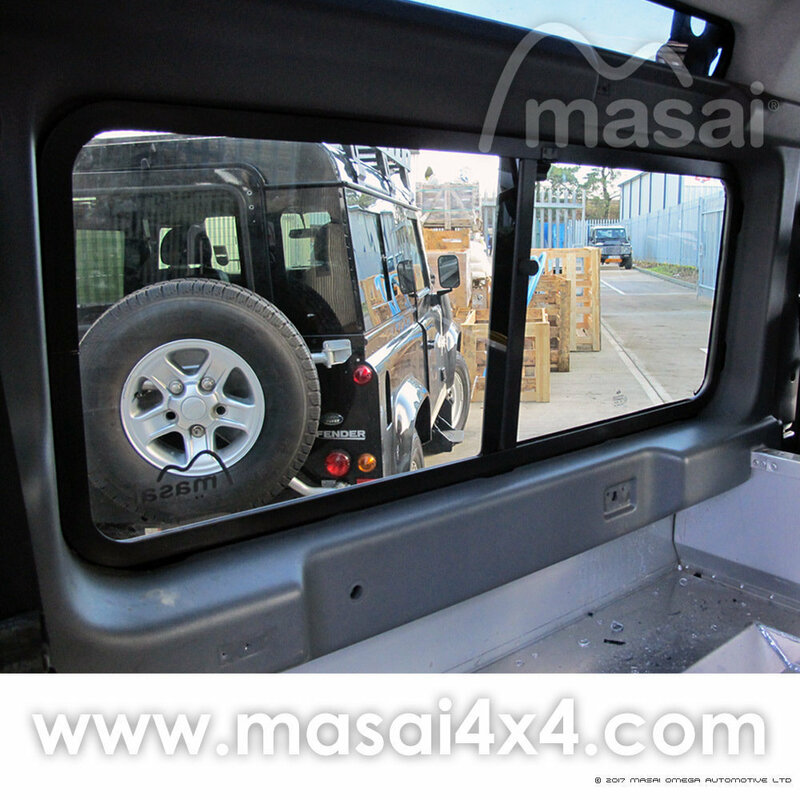 Tinted Rear Door Glass - With or without. Pair of matching Bonded Tinted Quarter Light Windows - With or without.